Need Help With Portfolio Recovery Associates Debt Collectors? Have you received a Portfolio Recovery Associates debt collection notice? Contact our Portfolio Recovery Associates debt settlement lawyers today. Portfolio Recovery Associates / Bank of America accounts are often collected on under the name subsidiary name Portfolio Recovery Associates / FIA Card Services, N.A. Portfolio Recovery Associates / Citibank (South Dakota), N.A. debts may have been acquired by Citigroup’s mainstay lender, Citibank National Association, prior to be sold off to PRA, creating an additional layer of defense to the claim. Portfolio Recovery Associates / Capital One Bank (USA), N.A. debt accounts may target subprime borrowers. Portfolio Recovery Associates / GE Capital Retail Bank accounts are usually issued under a retail store brand name, such as PC Richards home electronics store. 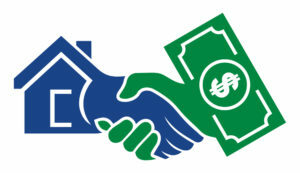 This lender is also affiliated with the retail credit company GE Money Bank. Portfolio Recovery Associates / HSBC Bank may have charged inflated interest rates on your credit card account due to this lender’s manipulation of global interest rates. Portfolio Recovery Associates / Nordstrom FSB credit cards are issued by a federal savings bank (FSB) affiliated with this department store, usually for in store purchases. Our Portfolio Recovery Associates debt settlement lawyers fight all of these lawsuits and more throughout the New York courts. Portfolio Recovery Associates is a publicly traded company listed on the NASDAQ stock exchange under the ticker symbol PRAA. It was originally founded in 1996 as a limited liability company in Virginia. The company has grown substantially since that time, as global debt markets have been strained by credit defaults. These economic factors helped put Portfolio Recovery Associates on the list of Top 10 Debt-Buyers in the United States. PRA’s rapid expansion has resulted in numerous consumer protection violations, including improper service of the Summons & Complaint in a high volume of debt collection lawsuits. The Office of the New York State Attorney General filed a claim against PRA for these violations, and the resolution of the case leaves many default judgments subject to being vacated in court. If Portfolio Recovery Associates has send you a debt collection notice, forward us a copy and let us fight for you! Contact our Portfolio Recovery Associates debt settlement lawyers for a free case review.